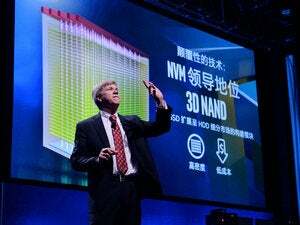 Intel storage czar Bill Leszinske looks into a future that just gets faster. Intel’s storage czar has a thing or two to say about the future of drive technology, naturally, but it’s not all party line. PCWorld recently sat down with Bill Leszinske, who heads Intel’s NVM (non-volatile memory) Solutions Group, to get his take on interfaces, hard drives vs. solid-state drives, and when storage and RAM will merge. Remember the SATA Express port? It arose in 2013, intended as an evolution of the slower SATA interface. While some systems began supporting the interface, however, drives for it never appeared—at least none we’ve ever seen. SSD performance also quickly eclipsed the capabilities of SATA Express. 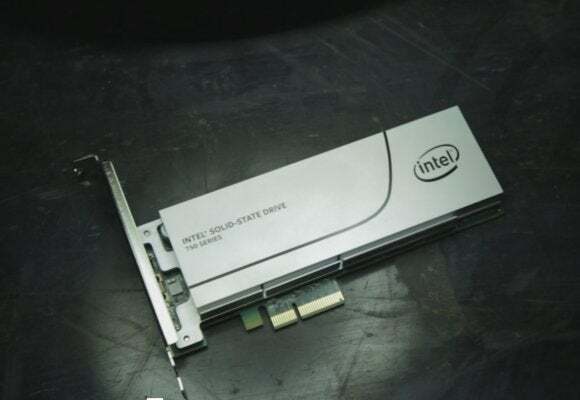 Don’t expect to ever plug an Intel SSD into that SATA Express port on your Z87 motherboard. Much has also been predicted about when SSDs would supplant hard drives, but when you look at a $50, 1TB hard drive versus a $250, 1TB SSD, it doesn’t seem like we’re remotely close. Despite that gap, Leszinske said he believes an inflection point is imminent. “There are some people who want large drives and will continue to buy them,” Leszinske said. On the other hand, he pointed to research showing that the vast majority of people use less than 40 percent of their drive’s capacity. You can put your hard drive on ice pretty soon, Intel predicts. Leszinske admits his bias—“I’m an SSD guy”—but he’s not far off-trend. A spot-check of prices on the Internet puts most name-brand 256GB SSDs in the $75 range, so $40-“ish” is within sight. 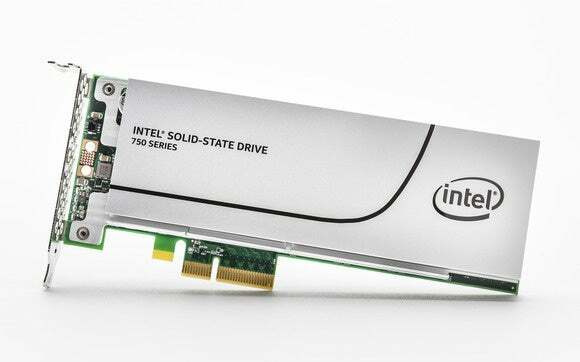 Intel believes PCIe drives will soon reach parity with SATA SSDs. Even more aggressive is Leszinske’s belief that SATA SSDs will soon be passe. He believes most consumers building or buying desktops will soon move to PCIe-based drives. Leszinske predicted the price barrier would fall quickly. “As we head into the later parts of 2017, PCIe and SATA pricing get much closer,” he said. Performance plays a role, too. 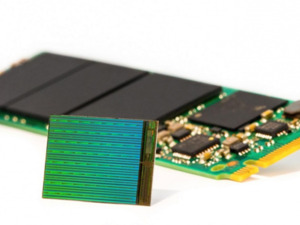 Today’s SATA-based SSDs are limited to data throughput of 600Mbps. Moving to PCIe, M.2, or U.2 (formerly SFF-8639) removes the handcuffs and could quadruple that interface speed, or better. Of course, Intel has a vested interest in this outcome. “Moving storage to PCIe in client and data center helps keep larger amounts of data closer to the CPU, which means people get a better experience, which means they buy higher-end processors, which is good for Intel’s overall business," Leszinske explained. Intel’s Optane technology promises “1,000 times” the gate performance of an SSD. But how will it work in your PC? Leszinske also outlined how Intel’s Optane, or 3D XPoint, technology could be used when introduced. It’s a little hard to wrap your brain around Optane, but it’s essentially a storage device with gate performance that’s 1,000 times faster (according to Intel and Micron) than today’s NAND. Leszinske dispelled rumors that users would be forced to buy new systems to run Optane—such as in purportedly leaked slides of Intel’s upcoming Kaby Lake processor, which show “support for Optane.” He said Optane drives will first be offered in PCIe, so pretty much anyone with a slot and system bandwidth to spare should be able to run it. Perhaps more intriguing, though, is Optane in a DDR4 memory slot. Remember, Optane is “storage,” but it’s so fast that it approaches the speed of RAM. 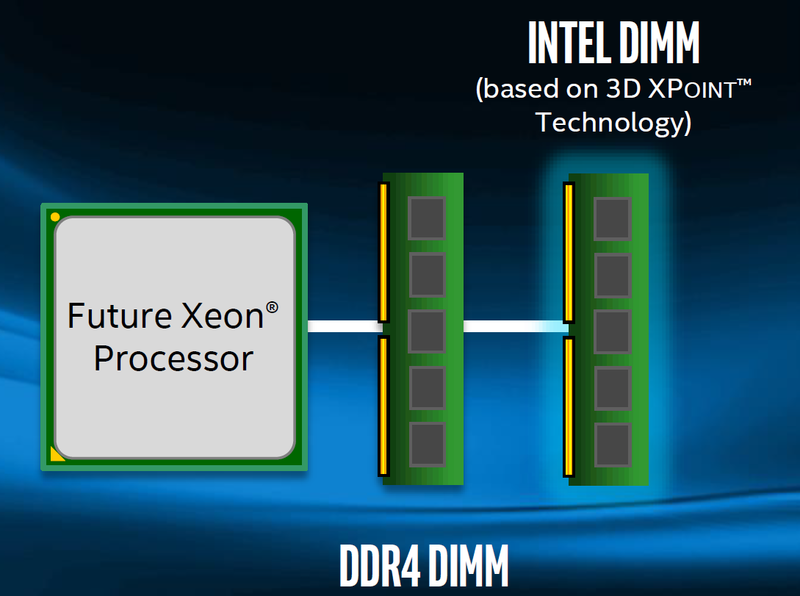 Intel even announced at IDF last year that it was planning to add extensions to an upcoming Xeon so it could directly work with Optane drives through a system’s DDR4. That set off concerns in the industry that Intel was going to kick off another memory standards war. A future Xeon will support using an Optane device in a DDR4 memory slot. While we didn’t discuss the political battles, Leszinske did address why the CPU needs a change to work with Optane in a RAM slot. “We had to modify the DDR4 electrical interface because you have to be able to communicate that [the drive] is a persistent device versus existing things [e.g, RAM],” he said. Still, there is somewhat of a competing standard already in place already called NVDIMM, or Non-Volatile DIMM—essentially persistent memory devices that don’t lose data when power is cut off. 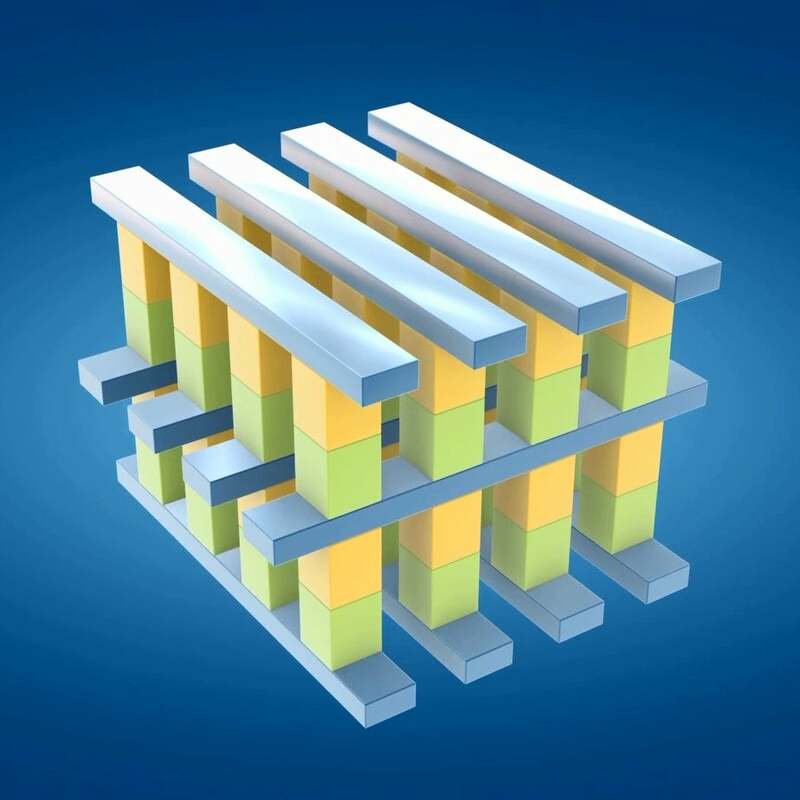 HP Enterprise recently announced its first product with NVDIMMs. 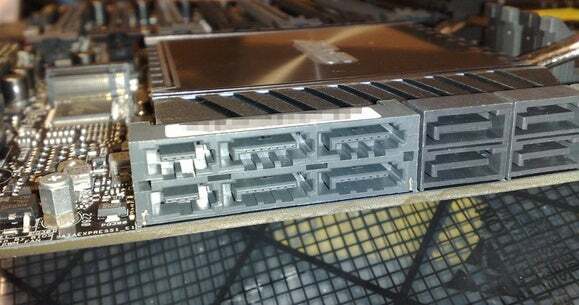 HPE’s NVDIMM module has DRAM chips and multiplexors on the front, connected to NAND flash chips on the back. Even more interesting about Optane are the implications for the newfangled technology. Today, your PC might have 8GB or 16GB of memory. What if you had a 2TB or 4TB Optane device in a DDR4 slot that was 1,000 times the speed of an SSD?